Known white yarrow, this perennial is a perfect fit for butterfly gardens. By attracting butterflies, these lovely flowers give atmosphere to your outdoor landscape. Yarrow fights against soil erosion due to its resistance to drought. It makes a great companion plant, fighting against predatory insects, attracting good ones, and improving overall soil quality. Its smell and taste are pungent. It has inspired several other decorative cultivars such as Thousand-seal. 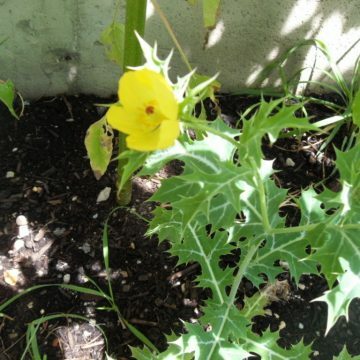 It usually blooms in May and June, and grows to up to 3 feet tall. 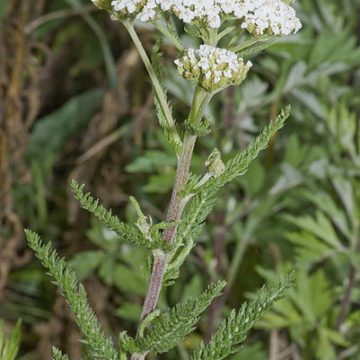 White Yarrow has a long history in herbal medicine. It has been used an astringent, a tonic, and in treatment of bruising, swelling, and headaches. 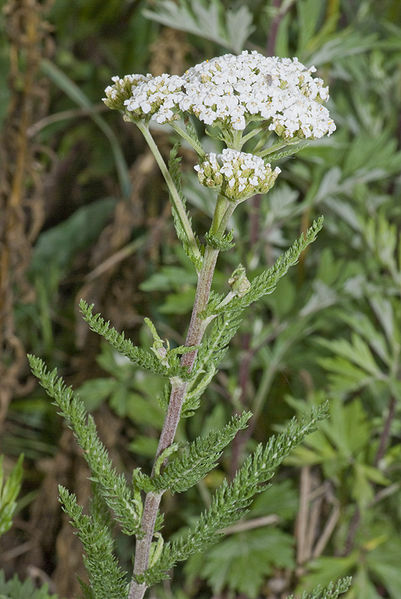 White yarrow has been used to treat respiratory problems including asthma. Paradoxically, it has been used to both stop and promote bleeding. 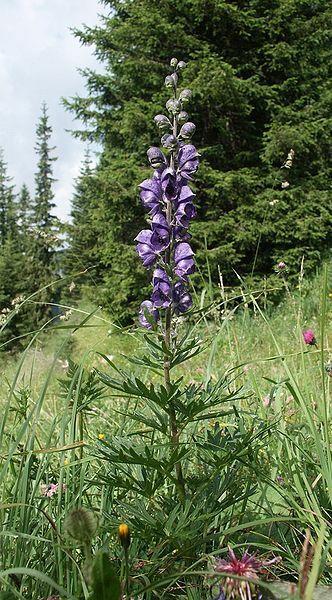 Its flowers are the main source of its medicinal use. It is a stimulant and has been used for snuff. 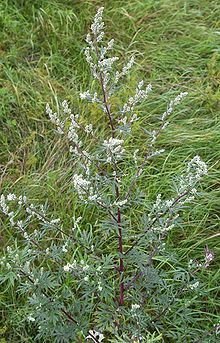 As a tea, white yarrow can be used in the early stages of fever, cold, measles, etc. because of its diaphoretic properties. Attesting to its many names it has been revered through the ages. Very common in the Scottish highlands, it is still used for ointments in treatment of wounds. The genus name Achillea has origins in the story of the Greek hero Achilles who used this plant to treat his soldiers’ wounds. During the Middle Ages it was even used in brewing beer to add flavor. 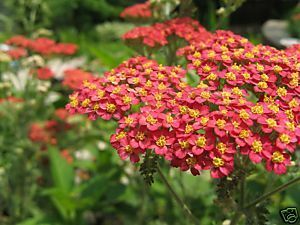 Growing Information: Yarrow grows best in full sunlight, and develops best in soil that is poorly developed and well drained. Germination is best achieved when seeds are planted on the surface of the soil without being buried. Optimum temperature is 65-75 degrees Fahrenheit. It usually has a short lifespan, and should be spaced 12-18 inches apart. If not planted correctly, yarrow can suffer from mildew or root rot.